Trapped in between what to eat and what not to? Try Lindt's (Excellence) Prodigieux Noir 90% Choco this time, where it reveals a unique flavour of cocoa in its purest form. With its balanced taste and perfect textures, one can't just have only one. 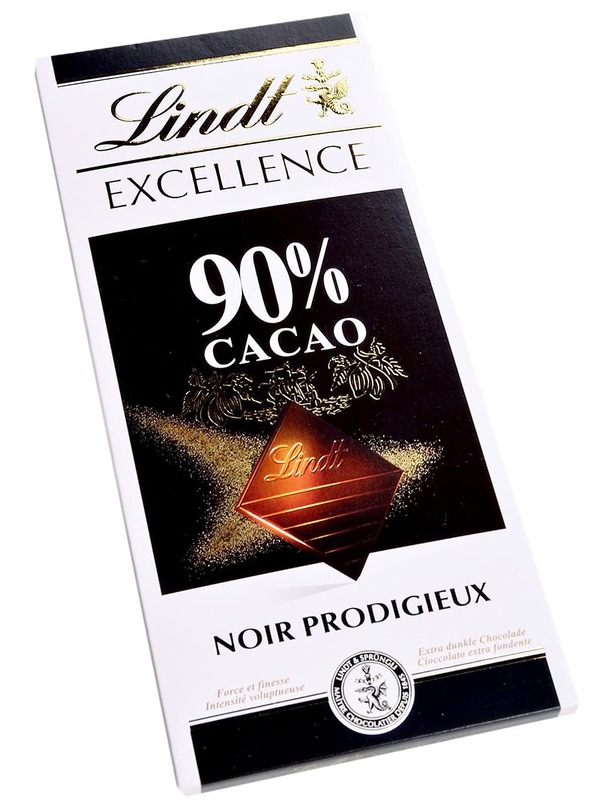 Lindt is a name celebrated by many for its excellent service for the past 170 years. 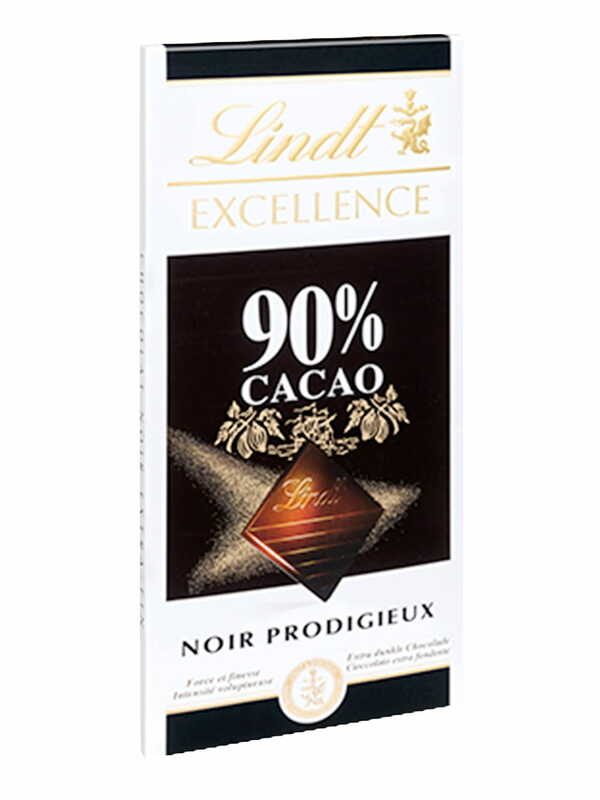 Its chocolates have overwhelming tastes that give you a joyous experience of bingeing on chocolates. 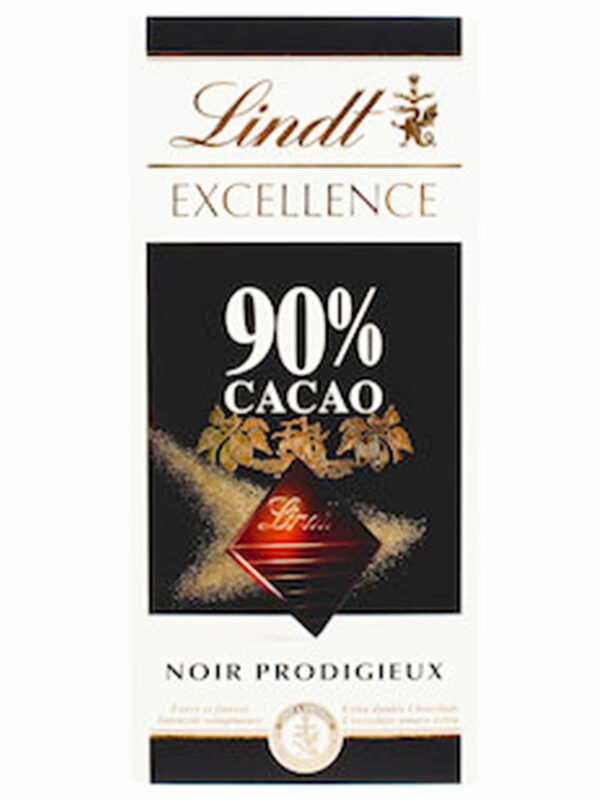 The Swiss company is a name trusted for quality chocolates. Ingredients Cocoa paste - cocoa butter - lean cocoa - sugar - natural Bourbon vanilla pod.